Calgary A.B. 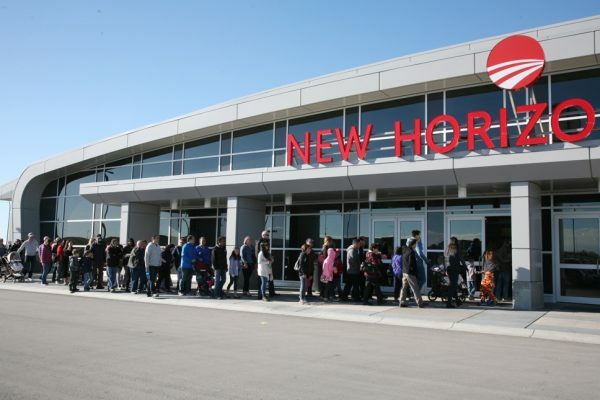 They were lined up for 50 yards at New Horizon Mall as it hosted its first ever Halloween and Fall Festival this past Saturday, October 27. The Mall’s International theme celebrates Calgary’s diversity and from noon until 5 pm, the festival at New Horizon Mall featured Kids Play zone and a Pumpkin Painting Contest, but also Korean and Filipino cultural performances, and Bollywood and Flamenco dancers on the high tech Main Stage. 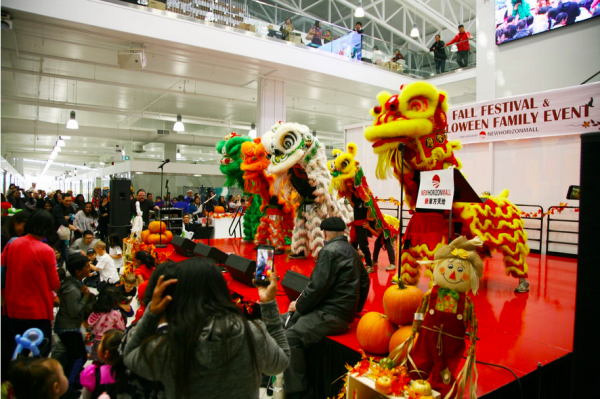 At the Halloween Festival, there was a Farmers Market, Lucky Draws, Photo Booth, Food and Beverage Booths and Arts and Cultural demonstration booths. New Horizon Mall is the city’s international shopping destination, offering a unique shopping experience. 11 new stores have opened up in the last two weeks at the mall bring the total number of stores to 22. With large crowds of more than 3500 people attending its festivals, New Horizon Mall announced today that it is holding its first Diwali Festival, to celebrate the five-day festival of lights observed by millions of Hindus, Sikhs and Jains across the world. Admission is free at New Horizon Mall’s Diwali Festival which runs 12 pm to 4pm on Sunday, November 4th, 2018. The Diwali Festival will feature 400 free gift baskets for kids who will receive a voucher and to be redeemed by visiting stores at the mall. It features Bollywood Dancers, a Diwali Worship Ceremony, Henna tattoos/face painting, and fun for the whole family with Painting contest and KidsPlayZone. Diwali coincides with the Hindu New Year, and marks new beginnings and the triumph of good over evil and light over darkness. New Horizon Mall offers culturally diverse stores, owned and operated by creative entrepreneurs and set in the beauty of a contemporary upscale mall. Photo caption: Big Screen and video streaming at New Horizon Mall’s high-tech Main Stage during the Halloween Festival. New Horizon Mall is only 20 minutes from downtown Calgary and directly across from CrossIron Mills in Rocky View County. The mall will be comprised of at least 500 unique stores, an entertainment stage and a food court with room for 300 shoppers. Tailored to Calgary’s sophisticated market, the malls’ visionary retail experience, proven in major markets throughout the world, offers exotic colourful allure of an international mall set in the comfort and beauty of a sublime, contemporary upscale architectural masterpiece.